This global ECV soil moisture data set has been generated using active and passive microwave spaceborne instruments and covers the 38 year period from 1978 to 2016. The data set consists of three products: an active data set, a passive data set and a combined data set. It provides daily surface soil moisture with a spatial resolution of 0.25 degree. Besides the extended temporal coverage it now also includes the new sensors SMOS and MetOp-B ASCAT. The active data set was generated by the Vienna University of Vienna (TU Wien) based on observations from the C-band scatterometers on board of ERS-1, ERS-2 and MetOp-A and MetOp-B. The passive data set was generated by the VU University Amsterdam in collaboration with NASA based on passive microwave observations from Nimbus 7 SMMR, DMSP SSM/I, TRMM TMI, Aqua AMSR-E, Coriolis WindSat, GCOM-W1 AMSR2, and SMOS. This latest release is advancing the previous version v03.3 by merging all active and passive L2 products directly to generate the COMBINED product (previously, this was created from the ACTIVE and PASSIVE products). In addition, soil moisture uncertainties are now available globally for all sensors except SMMR and spatial gaps in the triple collocation based SNR estimates are now filled using a polynomial SNR-VOD regression. Lastly, unreliable retrievals are masked before the merging of Level 2 products. Dorigo, W.A., Wagner, W., Albergel, C., Albrecht, F., Balsamo, G., Brocca, L., Chung, D., Ertl, M., Forkel, M., Gruber, A., Haas, E., Hamer, D. P. Hirschi, M., Ikonen, J., De Jeu, R. Kidd, R. Lahoz, W., Liu, Y.Y., Miralles, D., Lecomte, P. (2017). 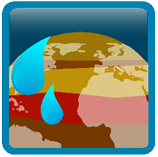 ESA CCI Soil Moisture for improved Earth system understanding: State-of-the art and future directions. In Remote Sensing of Environment, 2017, ISSN 0034-4257, https://doi.org/10.1016/j.rse.2017.07.001. Gruber, A., Dorigo, W. A., Crow, W., Wagner W. (2017). Triple Collocation-Based Merging of Satellite Soil Moisture Retrievals. IEEE Transactions on Geoscience and Remote Sensing. PP. 1-13. 10.1109/TGRS.2017.2734070. Liu, Y.Y., Dorigo, W.A., Parinussa, R.M., de Jeu, R.A.M. , Wagner, W., McCabe, M.F., Evans, J.P., van Dijk, A.I.J.M. (2012). Trend-preserving blending of passive and active microwave soil moisture retrievals, Remote Sensing of Environment, 123, 280-297, doi: 10.1016/j.rse.2012.03.014.